British Transport Police have reported that a man has been hit by a train this morning near Lincoln. A British Transport Police spokesman said: “Our officers were called to a line close to Doddington rail station to reports of a person struck by a train. “The call came into police shortly after 9am. “Colleagues from Lincolnshire Police and paramedics from East Midlands Ambulance Service attended. “Sadly a man was pronounced dead at the scene. 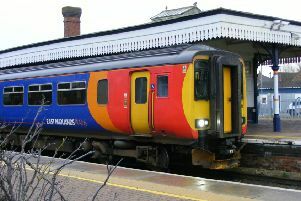 East Midlands Trains has announced to travellers that rail services to and from Lincoln will be disrupted while the investigation is ongoing and a reduced train service will run between Nottingham and Newark because of emergency services dealing with the incident. An East Midlands Trains spokesman said emergency services were dealing with the incident on the line between Newark Castle and Lincoln., disrupting trains on the Leicester/Lincoln/Grimsby route. He said: “Passengers travelling to Lincoln should change at Newark Castle/Northgate and use the hourly replacement bus service which will call at all station stops to Lincoln.